“ Young Indigenous people face many barriers to accessing healthcare including finding services that are safe and tailored to meet their needs. 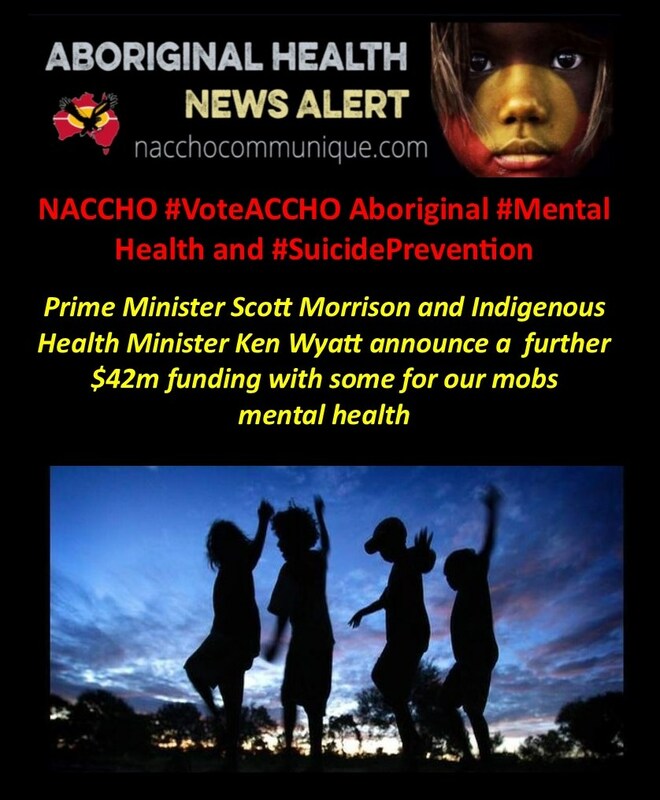 Provide $50 million over four years to ACCHOs to address the national crisis in Aboriginal and Torres Strait Islander youth suicide in vulnerable communities. Fund new Aboriginal support staff to provide immediate assistance to children and young people at risk of self-harm and improved case management. Fund regionally based multi-disciplinary teams, comprising paediatricians, child psychologists, social workers, mental health nurses and Aboriginal health practitioners who are culturally safe and respectful, to ensure ready access to professional assistance. 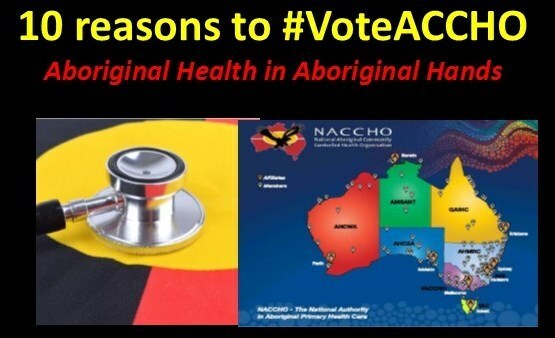 The incoming Federal Government must allocate Indigenous specific health funding to Aboriginal Community Controlled Health Organisations. The rate of suicide among Australians, particularly young First Australians is one of the most heartbreaking challenges we face as a country. We have provided $88.8 million for Indigenous-specific mental health services, as well as local, culturally-safe mental health services for Aboriginal and Torres Strait Islanders through our $1.45 billion investment in PHNs. 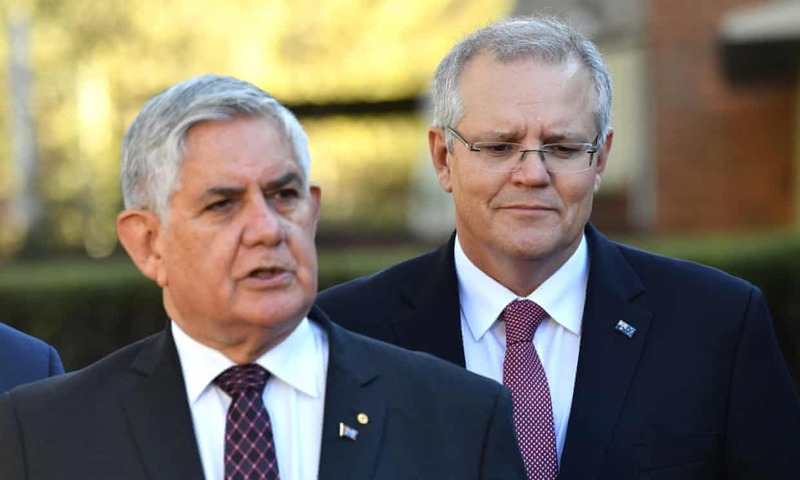 The Minister for Indigenous Health, the Hon Ken Wyatt MP, has championed new measures to address Indigenous suicide prevention measures. Under the Youth Mental Health and Suicide Prevention Plan the Morrison McCormack Government is providing $14.5 million to support Indigenous leadership to help our health care system provide culturally safe and appropriate care, as well as new funding to enable young Indigenous people to participate in place-based cultural programs; build a centre of excellence in childhood wellness; and adapt psychological treatments to meet the needs of Indigenous Australians. The Morrison McCormack Government is also making a new $19.6 million investment through the Indigenous Advancement Strategy to prevent Indigenous youth suicide, particularly in the Kimberley. This new $19.6 million investment will help build resilience and leadership skills in at-risk communities and provide new pathways for engagement, including some which the Kimberley Aboriginal Youth Suicide Prevention Forum told us are needed to support fellow young people. The mental health of Australians is a priority for the Morrison McCormack Government. One in five people in Australia experience a common mental disorder each year. Nearly half of the Australian population will experience mental illness at some point in their lives, but less than half will access treatment. We are doing more than any other previous government to safeguard the mental wellbeing of Australians, providing record funding of $4.8 billion in 2018-19. We are delivering more frontline services that meet the specific needs of local communities through a record $1.45 billion investment in our Primary Health Networks. We are providing long-term support for local psychologists, mental health nurses, and social workers, ensuring that the right services are available in the right place and at the right time. We have expanded the headspace network, boosted headspace services, and established the Mental Health in Education Initiative with Beyond Blue to provide young Australians with additional help and support. We have pioneered Medicare telehealth services allowing Australians in rural areas to access care from their homes. We have also expanded free or low-cost digital services, accessible through our new head to health portal to cater for those who prefer to access support online. We have been the first to fully recognise the need for intensive support for Australians with eating disorders – the deadliest of all psychiatric illnesses – by creating specific Medicare funded services, a National Helpline, and providing $70.2 million for new residential treatment centres. We have introduced key reforms such as a Productivity Commission Inquiry into Mental Health, changes to private health insurance, and innovative models of care such as the $114.5 million trial of 8 mental health centres. Investing in mental health and suicide prevention is not a choice, it is a must. The Liberal and Nationals Government’s track record in delivering a strong economy ensures we can invest in essential services such as youth mental health and suicide prevention services. The tragedy of suicide touches far too many Australian families. Suicide is the leading cause of death of our young people – accounting for one-third of deaths of Australians aged 15-24. The Government will provide $503.1 million for a Youth Mental Health and Suicide Prevention Plan to prevent suicide and promote the mental wellbeing of young Australians. This represents the single largest investment in youth suicide prevention in the country’s history. We are prioritising three key areas as our nation’s best protection against suicide – strengthening the headspace network, Indigenous suicide prevention and early childhood and parenting support. We will ensure young people get help where and when needed by investing an additional $375 million to expand and improve the headspace network. headspace provides youth-friendly services for the challenges facing young Australians: across physical health, alcohol and other drug use, vocational support and mental health. To strengthen Indigenous youth suicide prevention, we will invest $34.1 million including support for Indigenous leadership that will help our health care system deliver culturally appropriate, trauma-informed care as well as services that recognise the value of community, cultural artistic traditions and protective social factors. Out support includes $19.6 million for measures to prevent Indigenous youth suicide, particularly in the Kimberley. To support parents and their children we will invest $11.8 million in a range of initiatives to help parents recognise when their children are struggling, improve mental health skills training in schools, enhance peer support networks and boost counselling support services for young people. We are also providing an additional $22.5 million in specific youth and Indigenous health research projects as part of our $125 million ‘Million Minds Mission’. The Liberal and Nationals Government established this ten-year $125 million Mission through the Medical Research Future Fund. It will unlock key research into the cause of mental health as well as better treatments and therapies. For Australians living in rural and regional we are ensuring that services are available where they are most needed by establishing more than 20 new headspace sites in rural and regional Australia, and by providing new mental health telehealth services funded through Medicare. $5.5 million for additional mental health services in Victoria, Queensland and Tasmania. This includes Medicare items for GPs to provide telehealth services to flood affected communities in Queensland. $21.9 million for the Empowering our Communitiesinitiative to support community-led mental health programmes in nine drought-affected Primary Health Network regions. One in five Australians aged 16 to 85 experiences a common mental illness (e.g. anxiety disorder, depression) in any year; nearly half (45 per cent) of all Australians will experience a mental health problem over the course of their lives. In 2016, one in seven children aged 4 to 17 years was assessed as having a mental health disorder in the previous 12 months. Approximately 730,000 Australians experience severe mental health disorders. Another 4-6 per cent of the population (about 1.5 million people) are estimated to have a moderate disorder and a further 9-12 per cent (about 2.9 million people) a mild disorder. Mental illness costs the Australian economy over $60 billion per year (around four per cent of Gross Domestic Product). In 2017, 3,128 people died from intentional self-harm (12.6 deaths per 100,000 people), rising 9.1% from 2,866 in 2016. The 2017 rate is on par with 2015 as the highest recorded rate of suicide in the past 10 years. Most states saw an increase in their suicide rates, with Queensland and the Australian Capital Territory experiencing the largest rises. However, there were declines in Tasmania, South Australia and Victoria. Suicide remained the leading cause of death among people aged between 15-44 years, and the second leading cause of death among those 45-54 years of age. While intentional self-harm accounts for a relatively small proportion (1.9 per cent) of all deaths in Australia, it accounts for a higher proportion of deaths among younger people (36 per cent of deaths among people aged 15 to 24).